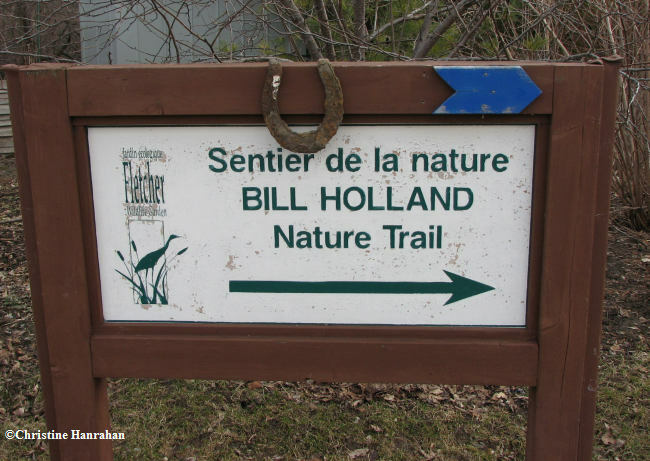 This sign marks the beginning of the Bill Holland trail at the Interpretive Centre. The trail is approx. 1 km in length and passes by each habitat of the garden.